November of 2002 was a bad month for me. 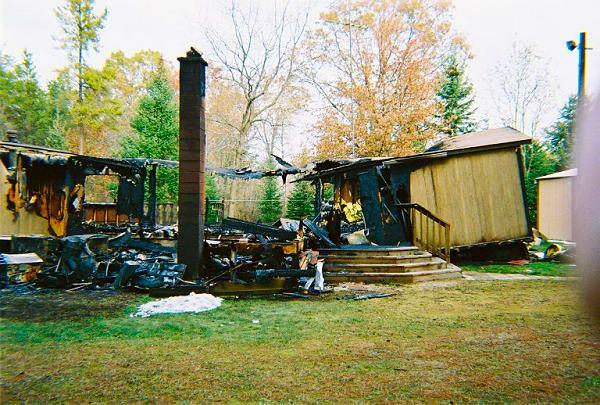 :-) There was a fire which completely destroyed my house. had left is what was on the tripod servers. were the clothes I wore to work that day. 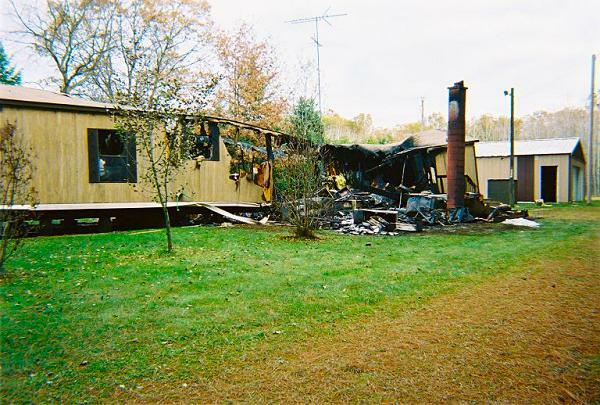 It may not look so bad from the photos, but the entire floor of the mobile home was pretty much gone. 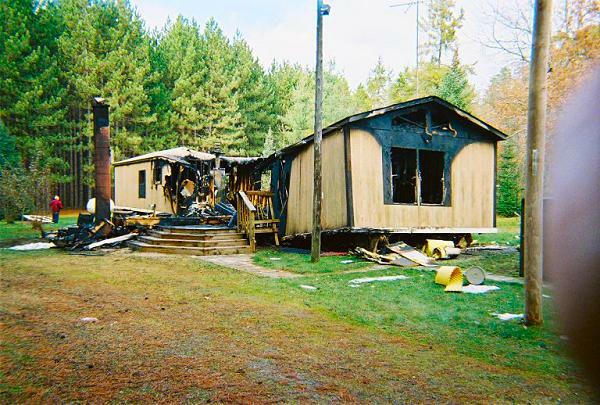 The walls were still standing, but the interior was gutted. A word to anyone with a fireplace,,, be careful, keep it clean, and inspect it for cracks and damage often. It was a crack in the flue that let the fire get into the walls that did my house in. I'm back on my feet now though, although it's been a long year. who provided so much assistance.